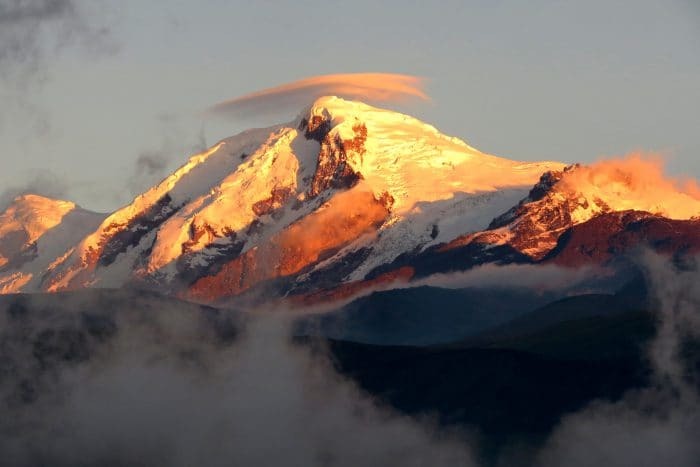 The world’s largest continental mountain range, the Andes extend along the western coast of South America. Arrive in Quito today, where you will be met at the airport and transferred to your sleek, contemporary hotel in the modern, northern part of the city. 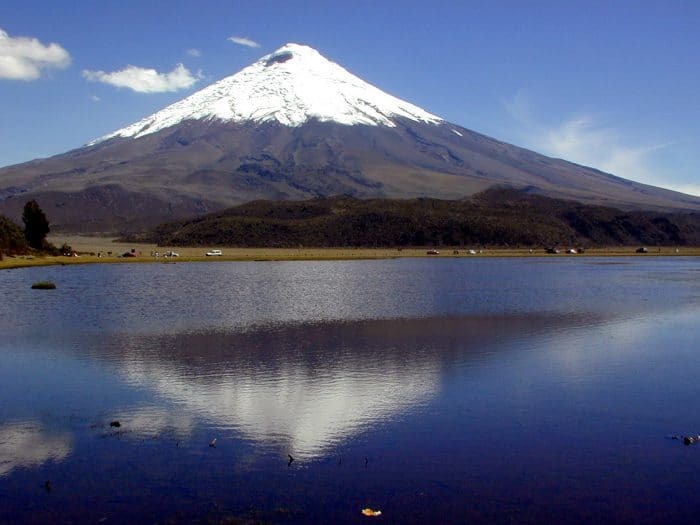 Quito is a city set between two mountains, the northern section is home to striking urban parks and modern architecture. A city of artisans, Quito’s crafstpeople are renowned in several fields, including guitar-making. Fair Trade markets, showcasing local wool and wooden products, as well as Ecuador’s famous silver jewelry, dot the city’s plazas. We will provide you with suggestions for dinner this evening. Land at the Baltra airport today and cross the Itabaca Channel to Santa Cruz Island. You’ll be met by a bilingual naturalist guide who will take you for a simple and delicious lunch at a sprawling farm in the highlands, after which you’ll have a complete tour of the area, exploring different vegetation zones and microclimates. Walk around volcanic pit craters and through lava tunnels, and explore the Scalesia and Guayabillo forests. After an early rise this morning, you’ll take a boat trip to explore one of the neighboring islands (North Seymour, Bartolomé, Plazas, Santa Fé, Floreana, or Isabela). Each island is unique, and you will be guided through the natural marvels of your area of visit. In addition to a natural park, the Galápagos Islands and surrounding waters are part of a marine reserve, and snorkeling off of the boat today will allow you to experience the richness and diversity of the ocean life. Spend another day exploring the islands surrounding Galapagos. Relax and enjoy the experience of close encounters with native wildlife at your own pace. If you are SCUBA certified we can replace one or both day trips with diving. Tortuga Bay must be one of the world’s most extraordinary beaches. Enjoy swimming along the two km. of white sand and deep blue water buzzing with wild life. Lunch at a restaurant in Puerto Ayora, or we can arrange a picnic to be laid out for you at the beach, where sea kayaking is also an option. In the afternoon your naturalist guide can accompany you to the Charles Darwin Research Station in to delve into scientific thinking and meet the famous Lonesome George. 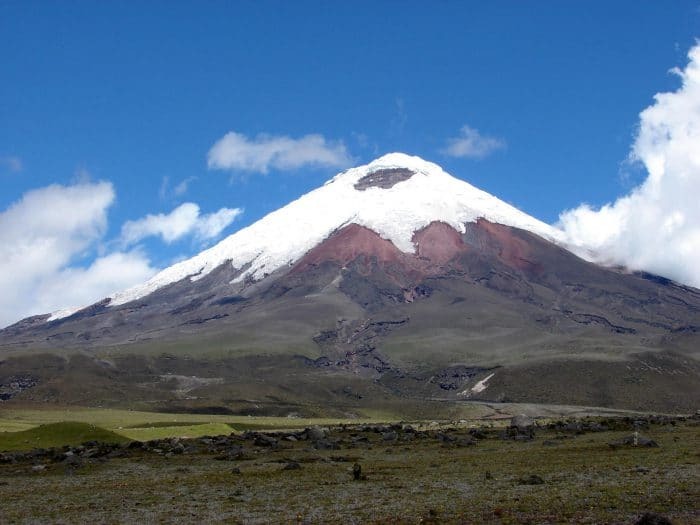 Arrive in Quito this morning, after which you will be transferred three-and-a-half hours to your accommodation, an eco lodge and farm 9,600 feet above sea level in the Andean mountain range. Belonging to the family of a former Ecuadorian president, the property boasts an impressive colonial house that dates back to 1691, with large bedrooms with fireplaces, cozy common rooms, and surrounding antique gardens. The hacienda is surrounded by 4,000 acres and enclosed by the Andes mountains. Almost everything on the dinner table tonight will come from the farm—milk, cream, handmade cheeses, fresh butter, homemade breads, farm-raised fish, and local meats. You will enjoy exploring the surrounding Condor-Huasi route which has numerous grassy trails, ideal for horseback riding, hiking, or mountain biking. You’ll see ancient pyramids constructed by the pre-Incan Caranqui culture, and the Condor Huasi Project which works for the rehabilitation of the Andean Condor. The hacienda reflects a strong equestrian affinity with one of the most exclusive stables in Ecuador, and its Zuleteño horse, a unique mixture of Spanish-Andalusian, English, and Quarter horses. The outcome of this cross-breeding is a robust, noble, and smooth Andean horse with a perfect disposition for trail riding. After a delicious breakfast this morning, you may wander the organic garden, feed the baby calves, meet the vaqueros, enjoy the embroidery museum, or visit the cheese factory, before departing Zuleta for your next Willing Foot destination.